This coming autumn we are likely to see the beginning of the hyperinflationary phase of the sovereign debt crisis. Hyperinflation normally hits an economy quickly and unexpectedly, and is the result of the currency collapsing. Hyperinflation does not arise as a result of increasing demand for goods and services. The course of events in a hyperinflationary scenario can be summarized as follows: Chronic government deficits; debt issuance and money printing escalating rapidly; bonds falling—interest rates rising fast; currency collapsing. The above process turns into a vicious circle that accelerates quickly. The more money the government prints, the faster the currency will fall—and the faster the currency falls, the more money the government must print. 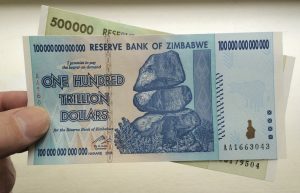 Once the hyperinflationary spiral has started, it will feed itself as we have seen in the Weimar Republic, Zimbabwe, Argentina and many other places. Von Greyerz discusses why interest rates will go to 15-20%, and why Fed policy has totally failed.